As many of you know, my husband and I recently purchased our first home, so I set out to make a wall quilt from the trimmings to hang above our new bed. I took an improvisational approach to making this quilt, allowing the trimmings themselves to dictate the size of the blocks and the width and number of strips I created from each. I paired the trimmings with white and cream solids from my stash, and built of up each block until it was a uniform 8.5" square. After assembling the top, I basted the quilt and quilted it with matchstick lines, something I tend to reserve only for small quilts since it's a time-consuming process (but well worth it!). The quilting lines bend and pivot, creating right angles throughout the quilt. I also left a few rectangular areas unquilted to mimic the strips and vary the texture of the top. For both the binding and the backing, I used a pretty peach-and-mustard print by Carolyn Friedlander that coordinated perfectly with the scraps, which I picked up in a fabric shop on a recent trip to Michigan. I'm so happy with how this quilt turned out, and I'm most excited to have our new bedroom finally start to come together! Voting for the competition opens on June 1, and I can't wait to see what everyone else has created! If you'd like to vote for your favorite entries, simply re-pin, like, or comment on them on this Pinterest board until June 6. Happy pinning! 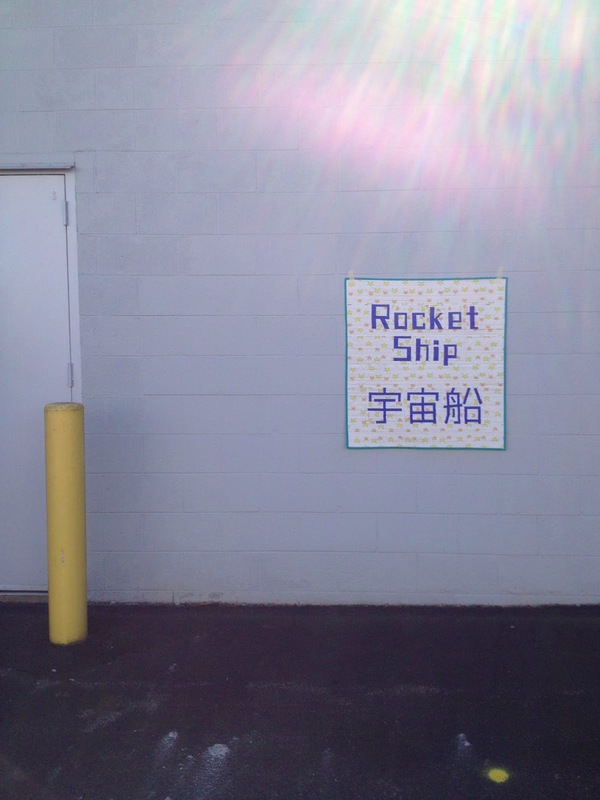 For this year's staff challenge at Spoonflower, we were tasked with making quilts (here's last year's project). 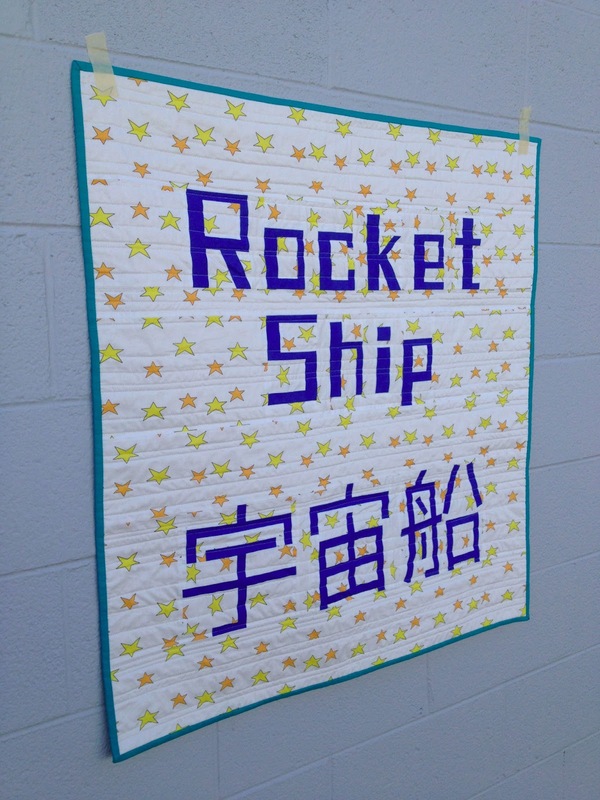 Inspired by the impending arriving of my half-Japanese twin nephews, my group and I decided to make a bilingual baby quilt. 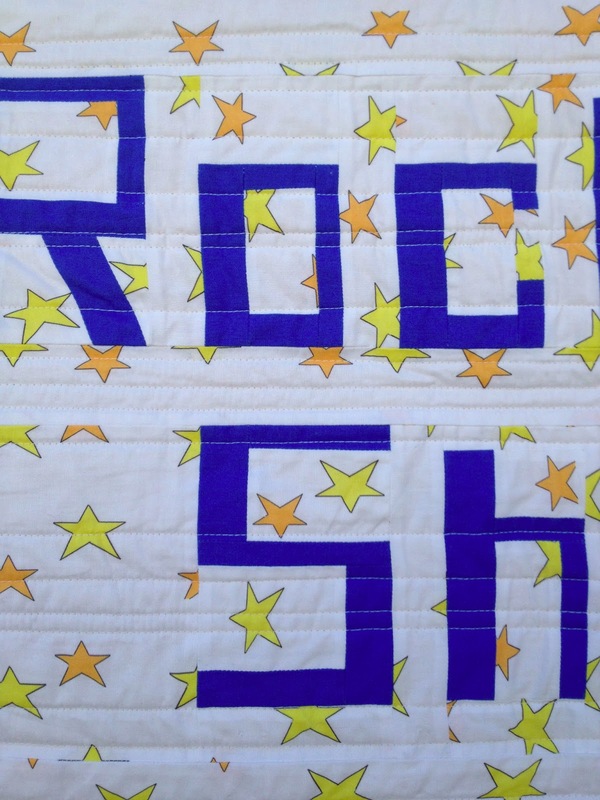 My teammate Jaysen designed the fabric, and I got to work on creating the quilt.